Here's the story of a man named Donald Trump, the President of the United States. Him and his family live in the White House and it is quite the scene. Our Cartoon President takes a look at the 45th president, his confidants, and his family members. 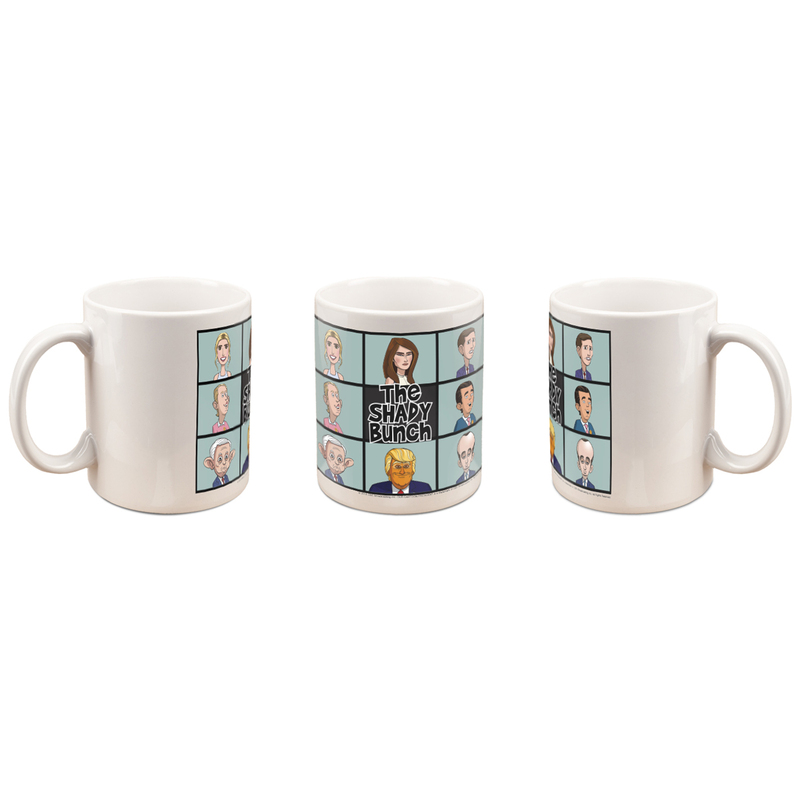 Our Cartoon President Shady Bunch 11oz mug is great for any fan of the show.